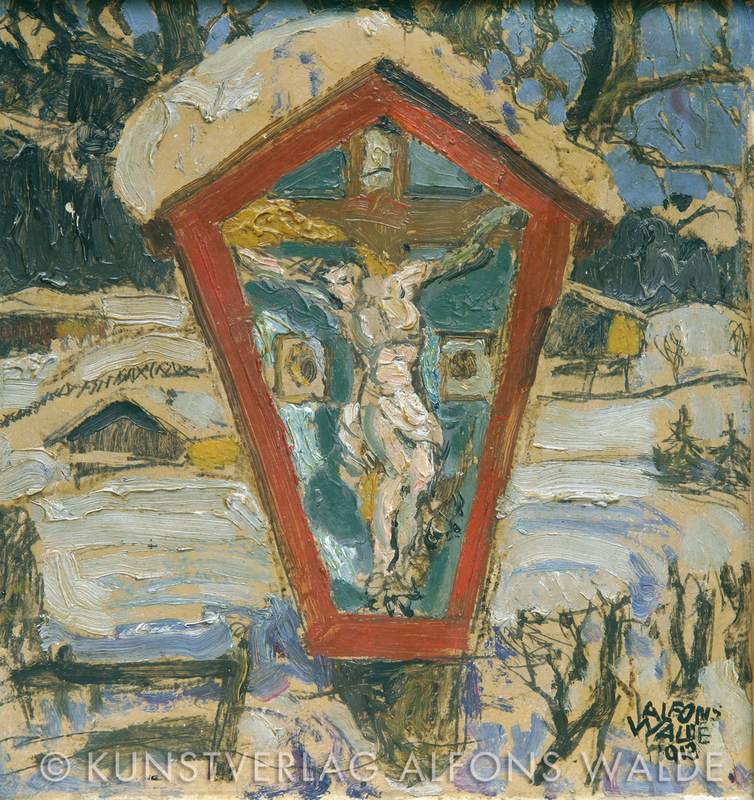 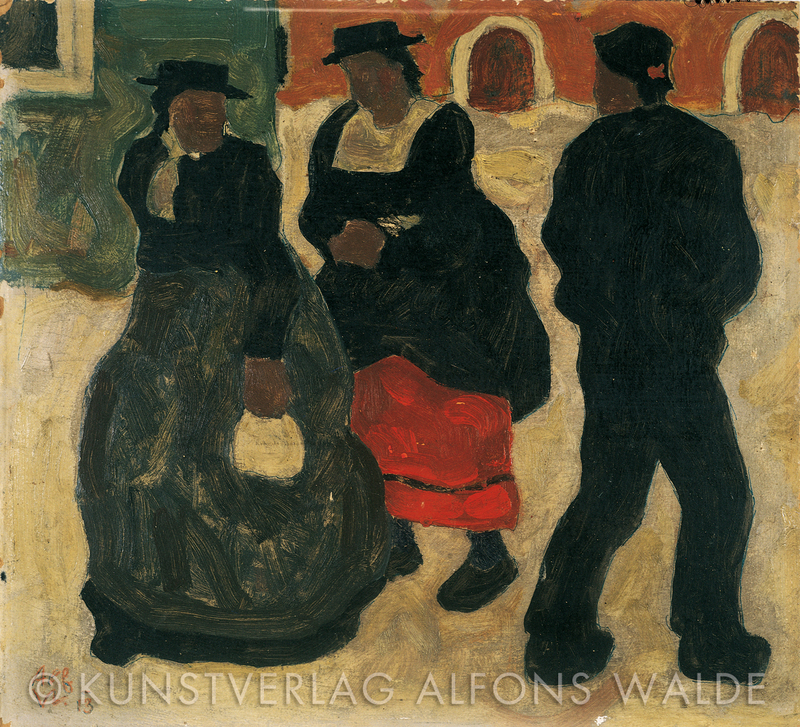 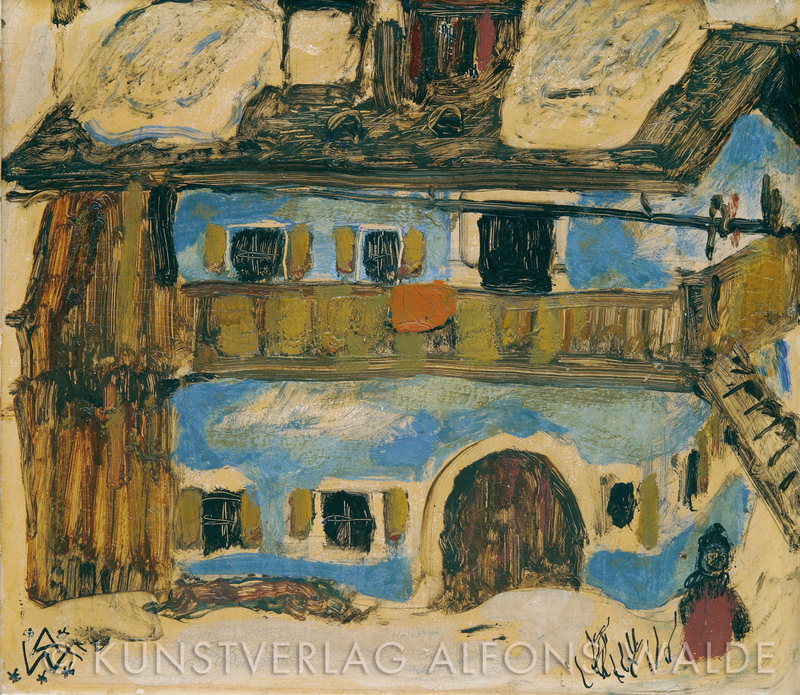 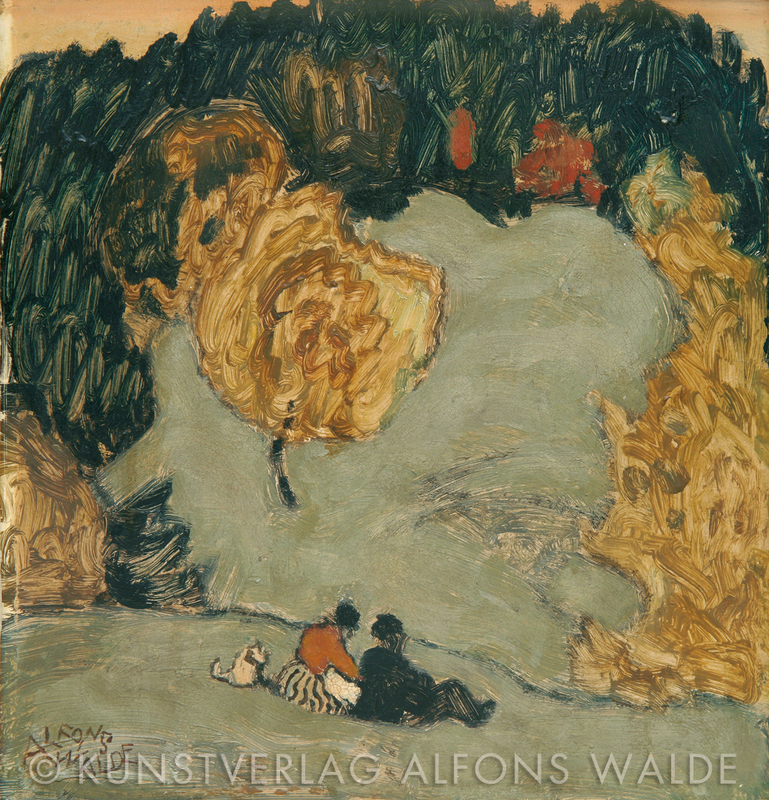 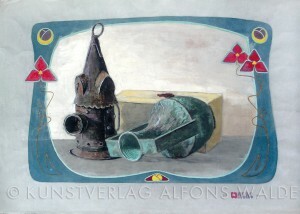 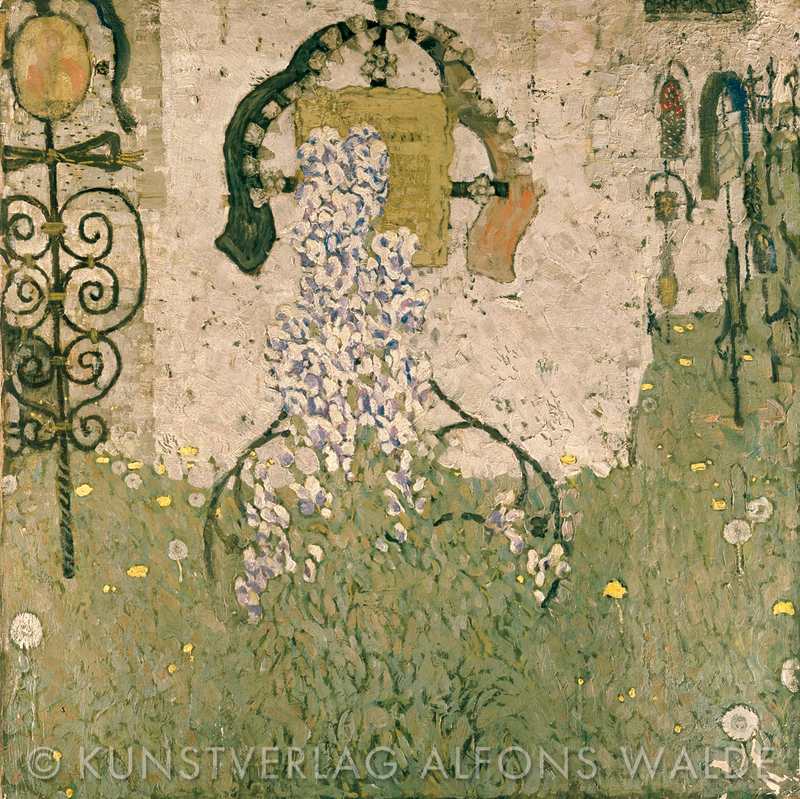 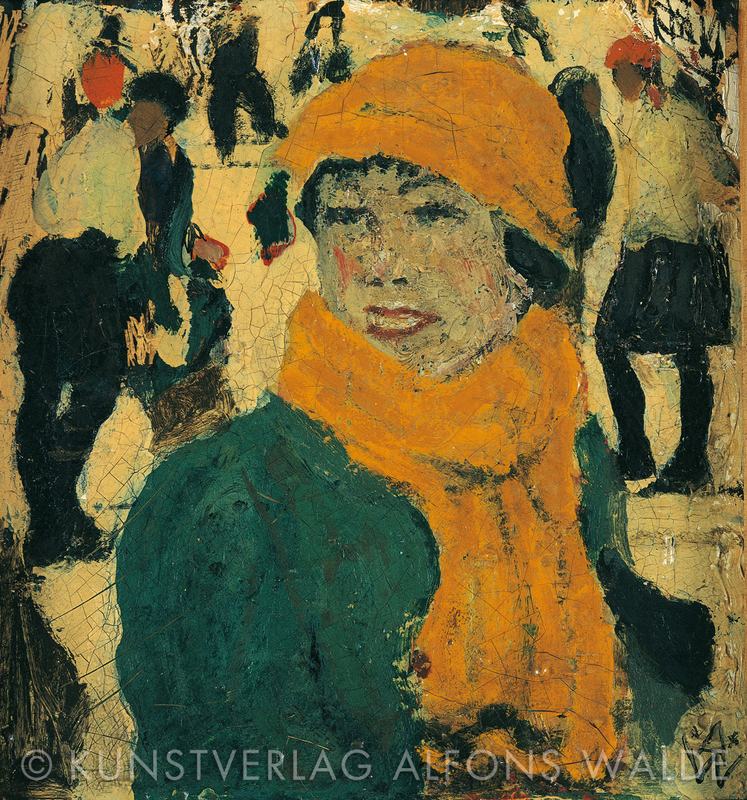 Already in his early years, between 1903 and 1910, as a student in secondary school in Innsbruck, Austria, Alfons Walde (1891-1958) was proving his extraordinary talent as a painter (e.g, Still Life, 1906). Several Walde watercolors, first shown in the Czichna Art Gallery, in 1911 and 1912, document the advanced state of the young artist’s craft. 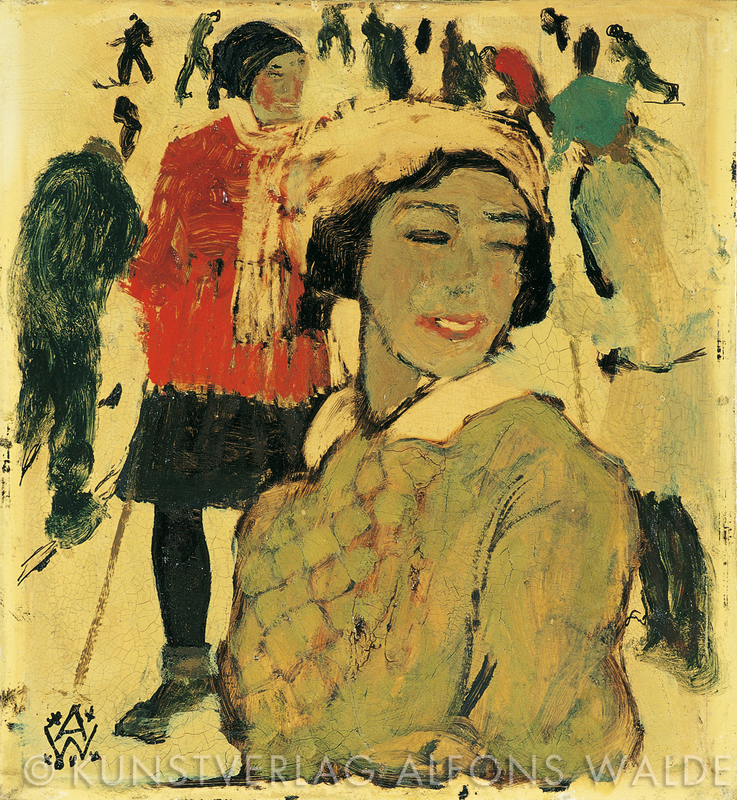 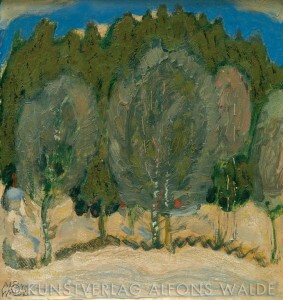 At the time, Walde was particularly influenced by the late impressionist work of Max von Esterle, which featured intricate colors. 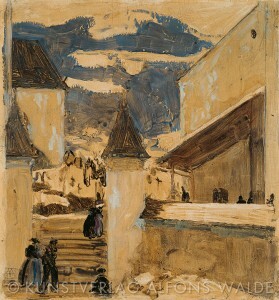 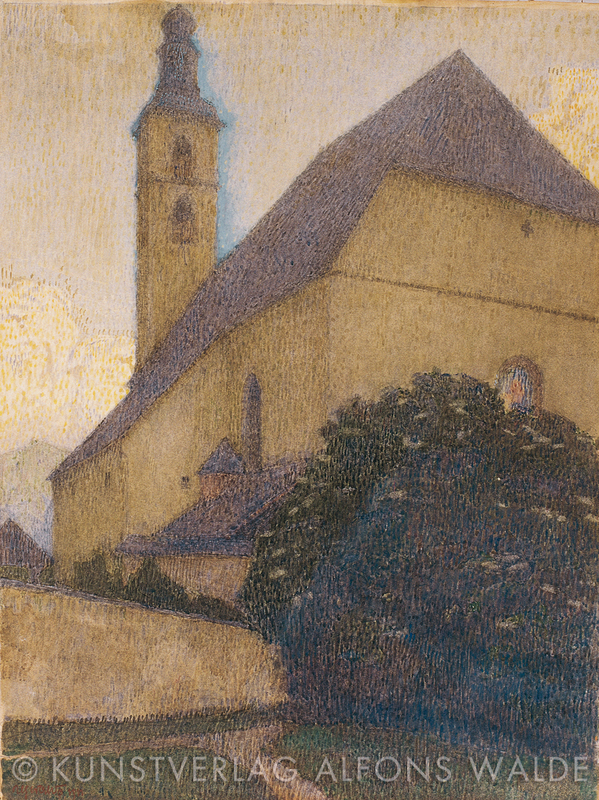 Though Walde’s watercolor technique already showed a characteristic impulsiveness and intensity of color, his fellow artist guided him to a more subtle and sensitive understanding of composition. 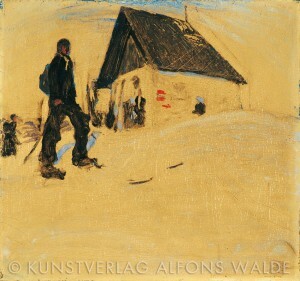 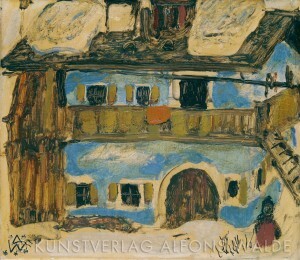 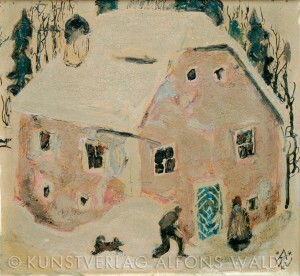 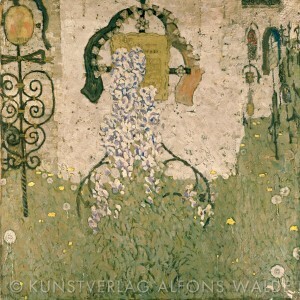 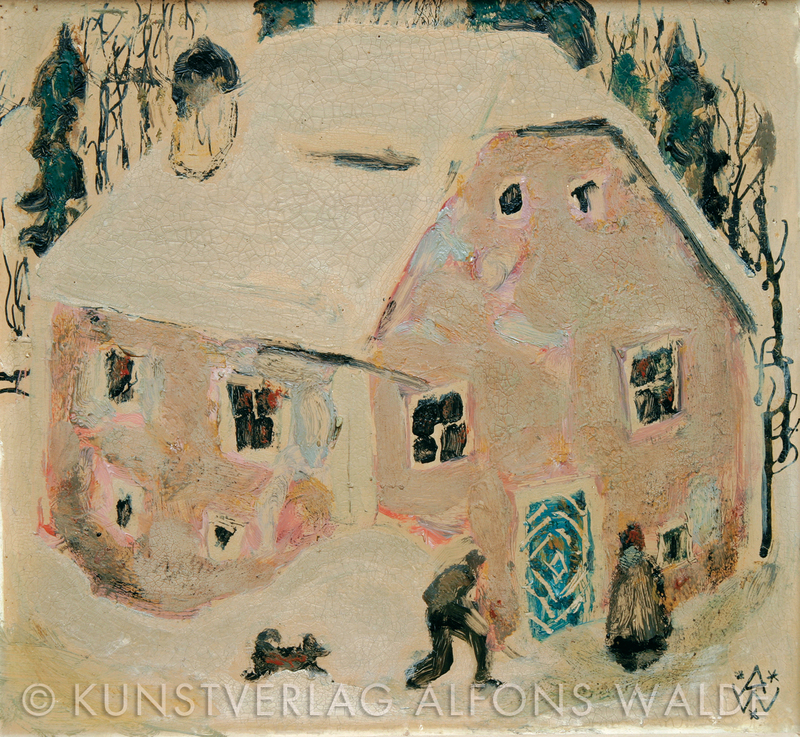 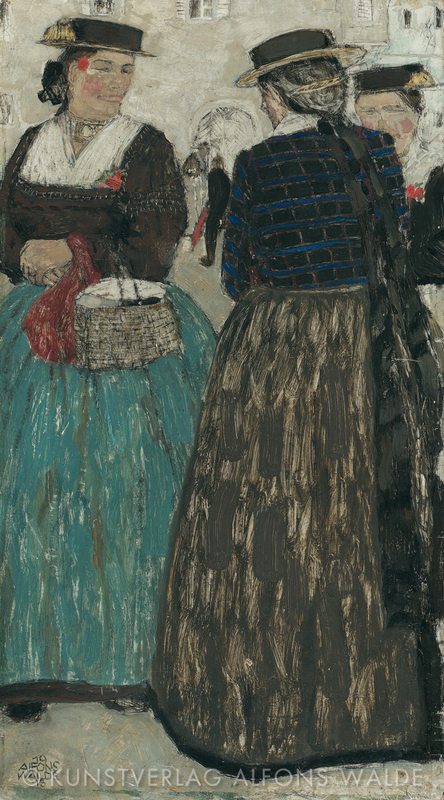 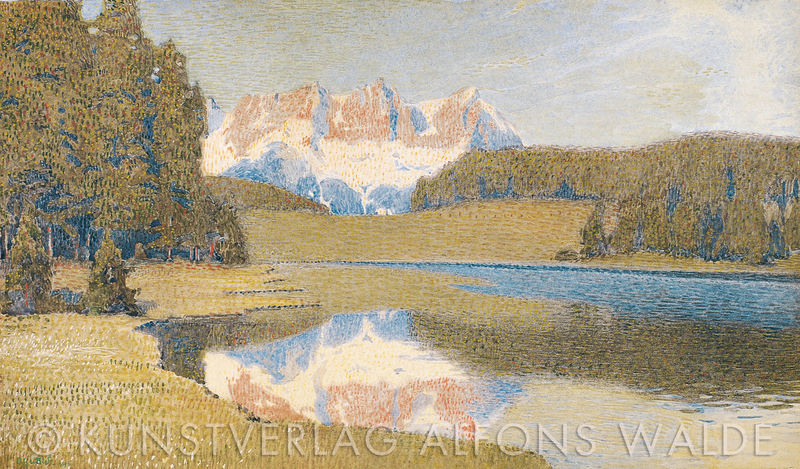 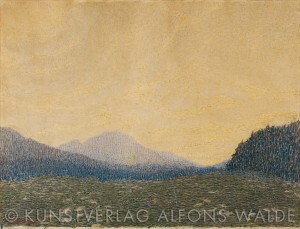 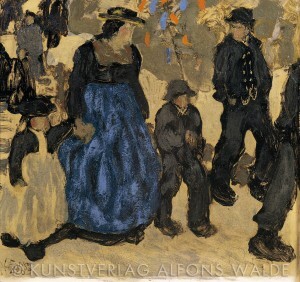 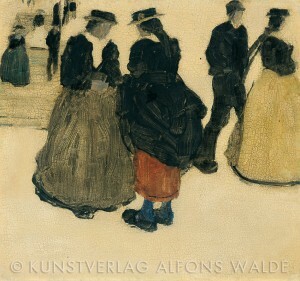 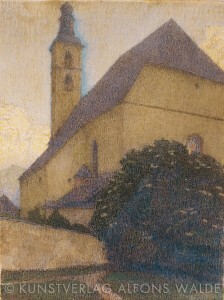 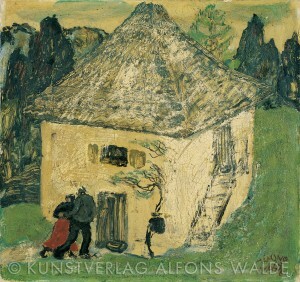 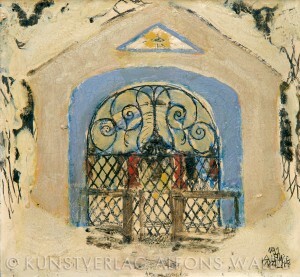 Selecting motifs from his immediate surroundings in Kitzbühel, Austria, as well as nearby landscapes, Walde soon moved toward a pointilistic style that was characterized by an atmosphere of vibrant light, as evidenced by his works Der Schwarzsee (The Black Lake) and Die Kirchstiege (Church Steps), the latter depicting the church in Kitzbühel. 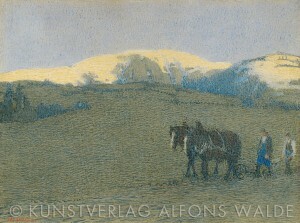 These watercolors originated in the years 1910-1911. 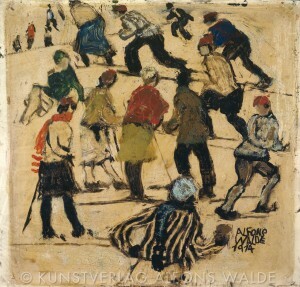 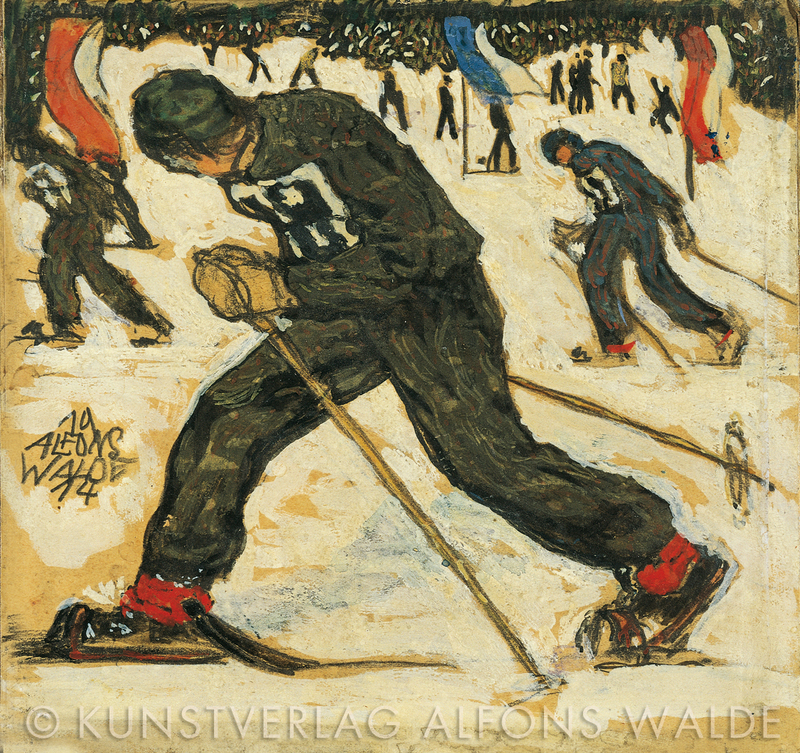 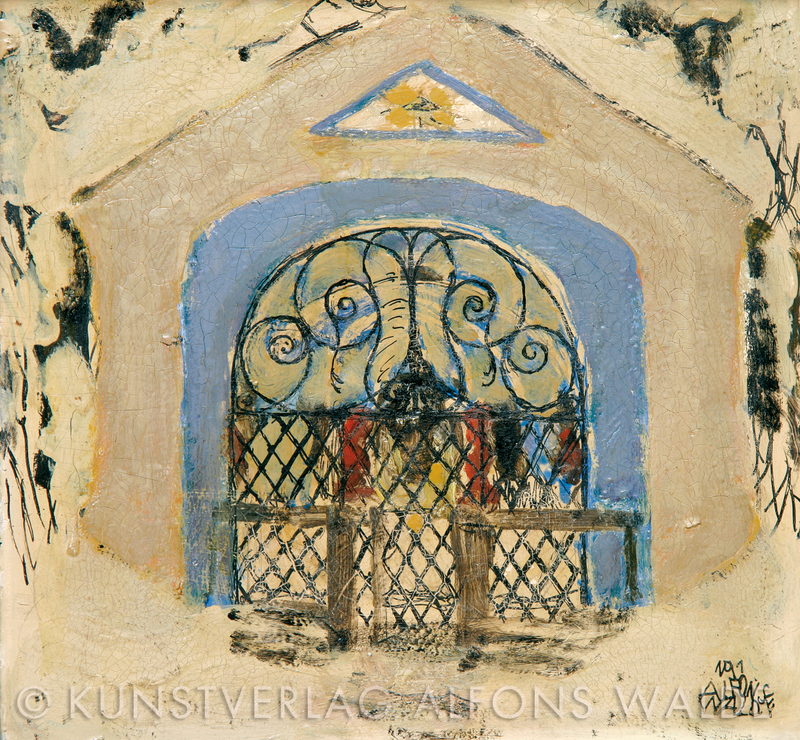 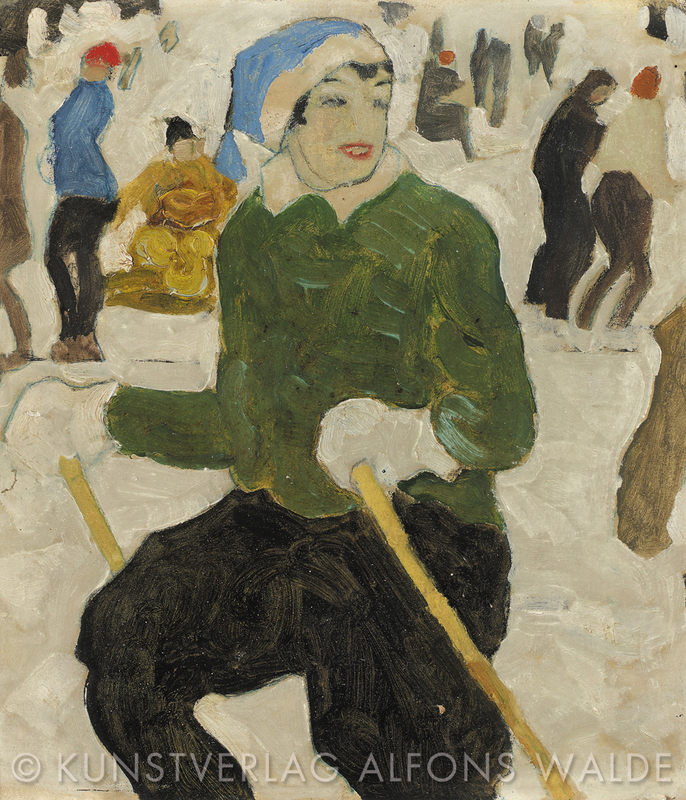 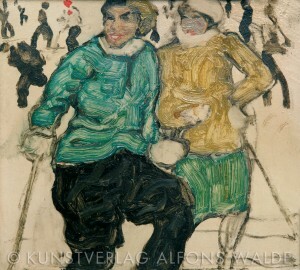 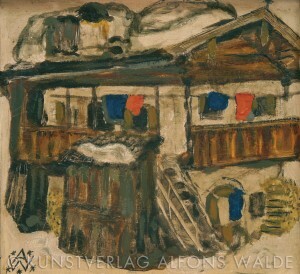 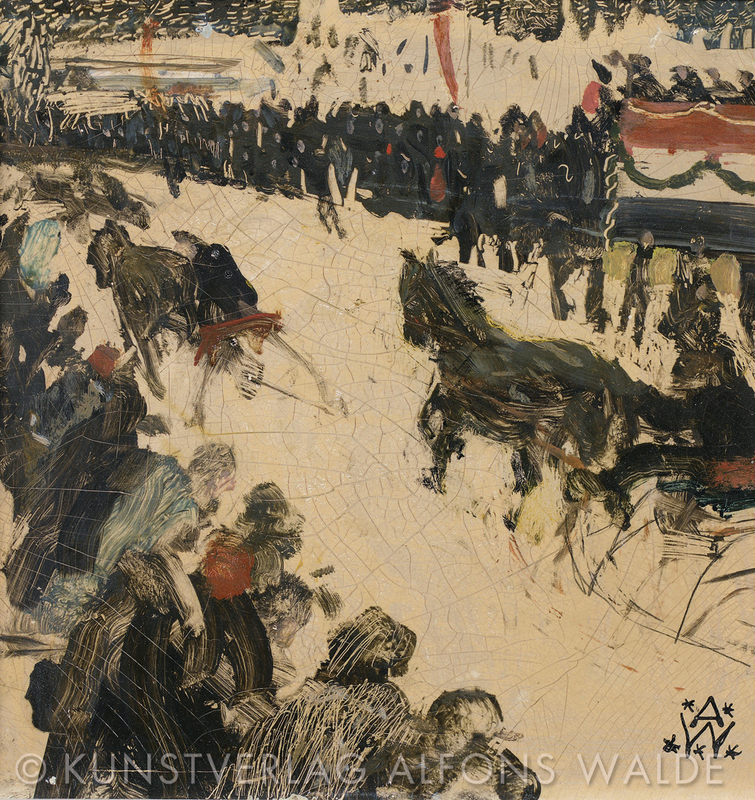 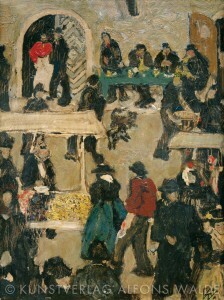 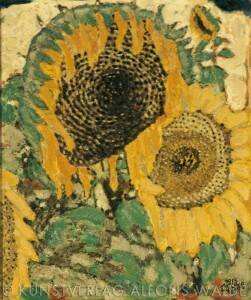 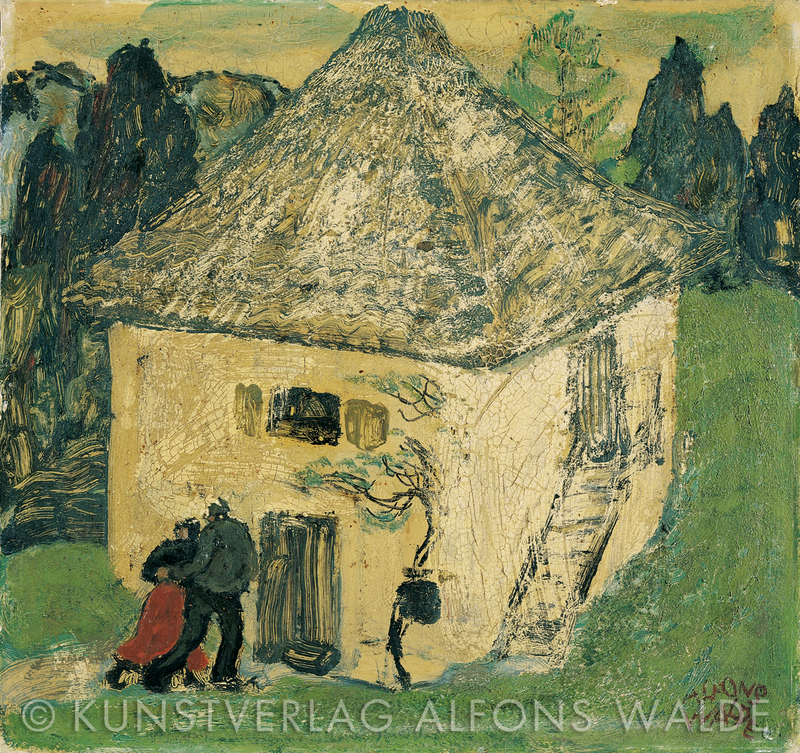 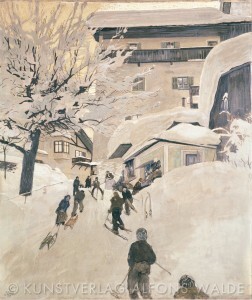 Not only did they confirm Walde’s fundamental understanding of technique and pictorial expression, but also provided the artist with the necessary motivation to pursue a full-time career as a painter. 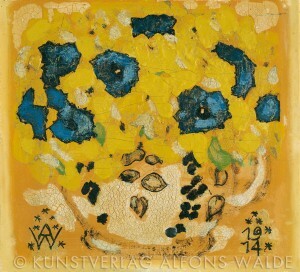 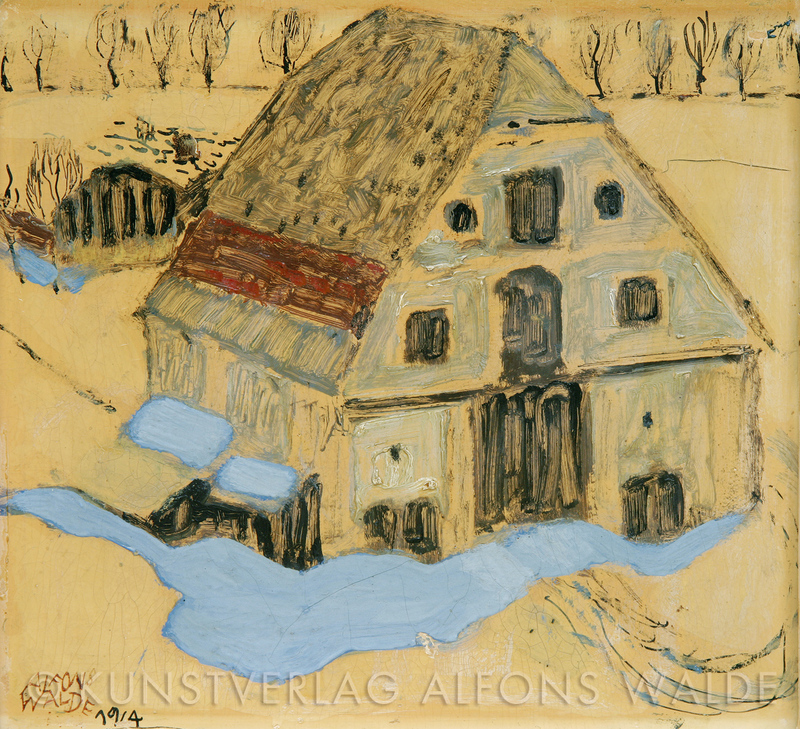 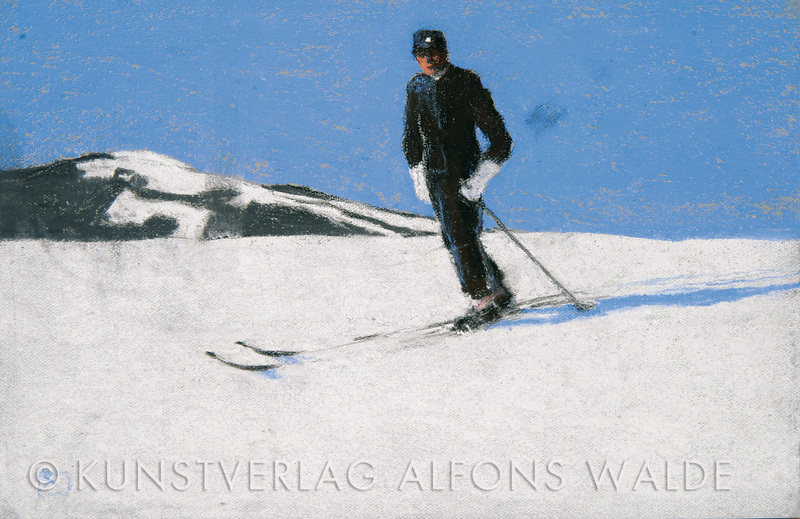 In 1910, Alfons Walde began his studies at the k.-k. (imperial-royal) Technical University of Vienna. 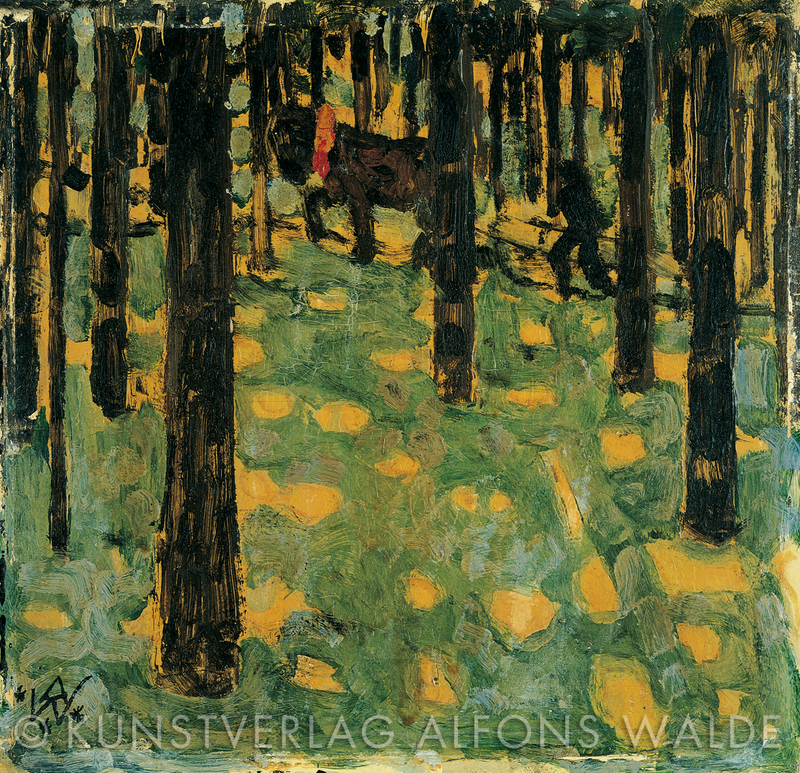 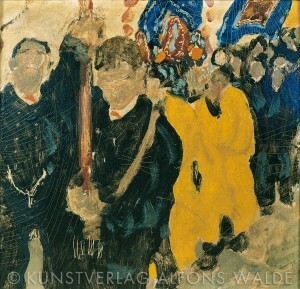 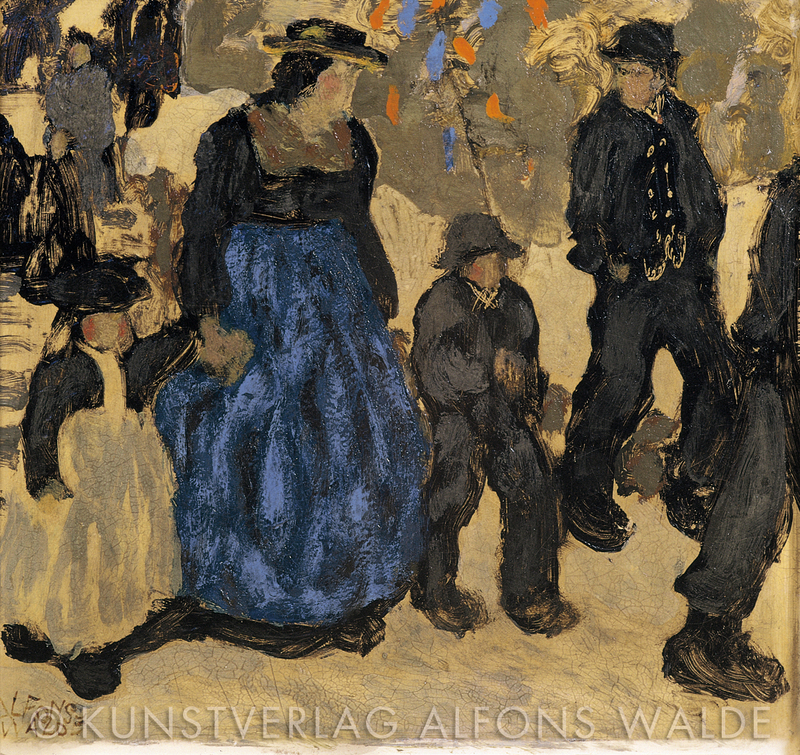 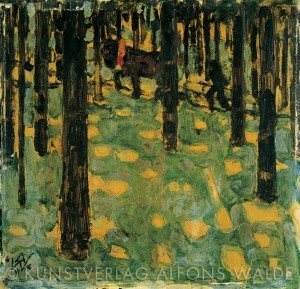 His move to Vienna exposed the artist to the vibrant Viennese art scene, including such groups as the Secession, the Hagenbund and the Neukunstgruppe. 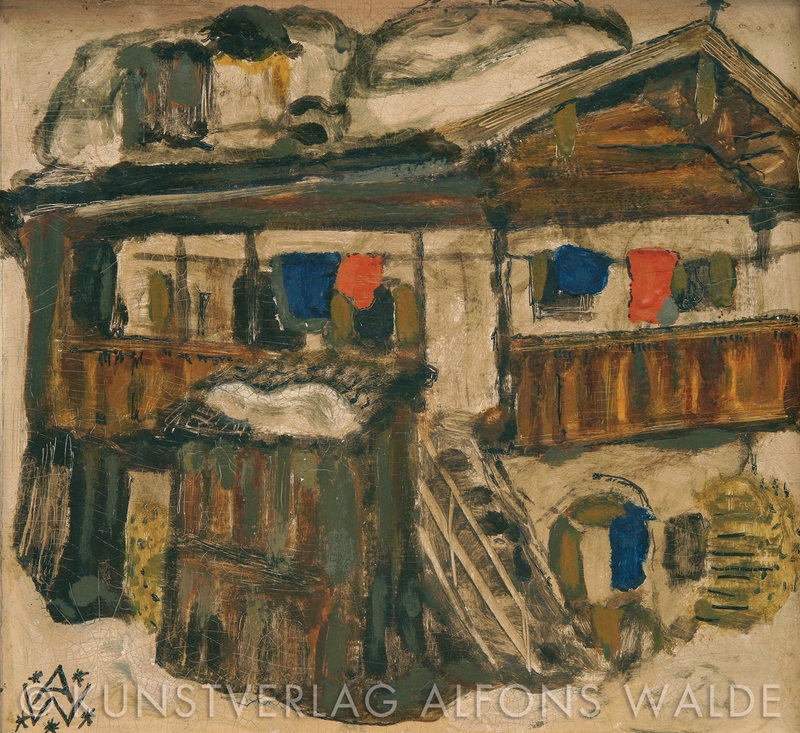 Walde’s development toward a more expressive style didn’t take long, as he gained inspiration from his exposure to such notable Viennese artists as Gustav Klimt, Egon Schiele, Oskar Kokoschka, etc. 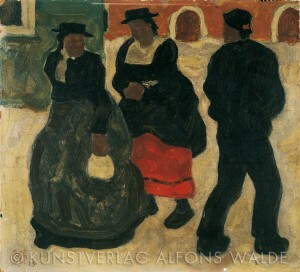 Walde’s ensuing repertoire is characterized by his expressive use of black, red and blue, as his compositional style developed a new focus on landscape structures and the “summaric” representation of human figures. Also emerging in this period’s work is his characteristic technique of making “engravings” on the surface of his paintings, using the opposite end of the paintbrush.